American born, Kevin Hart is a comedian, actor, writer and producer who has earned during the last 12 months before tax, approximately $87.5 million. Most recently he has starred in the film Central Intelligence alongside 'The Rock', Dwayne Johnson. Hart has meteorically risen up the top 100 World's Wealthiest Celebrities chart from position 95 in 2015 to number 5 in 2016. That is quite a jump and you can see that this is due to his work ethic. Kevin Hart has had a very busy year touring with stops at over 100 stadiums and arenas grossing an average of over $1 million in sales at each venue. This blog post on 37 year old Hart is the 6th article in the YouRCooK Series on the Nutrition Habits of the 100 Wealthiest Celebrities of 2016. Can I claim that every word written about each celebrity's nutrition habit is completely accurate, no I can't. Statements that they have made about what they tend to eat and drink are not set in stone as the majority of us consume a range of different things over the course of our lives. Our tastes change and sometimes we can no longer buy certain food products for one reason or another. But I will do my best to find information about what these individuals might eat and share this with you. Please bare in mind that the information that I source online is only as accurate as the data provided. I will make every effort to contact each celebrity on the list or their representative to ask them about the general habits. However, I am under no illusions that I will receive a reply. So over the course of the remaining 94 days, I will continue with this series on celebrities' nutrition habits to see if there is a link between high earnings and a specific type of diet that is consumed. So far, I have not come across any notable evidence that there is such a link but such a theory has yet to be disproved. I suppose the more people I study, the easier it will be for me to draw conclusions. So what does Kevin consume? Thank goodness for bon appetit which has come to the rescue again. 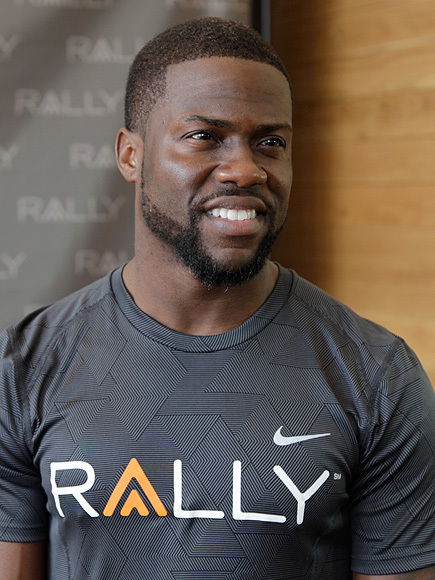 In this 2014 interview with Kevin, Hart says that his relationship with food is on and off. He describes himself as a health nut but he enjoys eating Buffalo wing, fried chicken, sandwiches and cheesesteak. For those who don't know what cheesesteak, it is a sandwich made from thinly sliced pieces of beefsteak and melted cheese in a long hoagie roll. Kevin Hart also speaks about Operation Summer Body where he eats clean i.e. a lot of vegetables, juicing and light protein. In his fridge/cupboards you might find items such as yogurt, turkey, provolone, bread, mayo and potato chips so he can make his favourite sandwiches. In July this year, Kevin told People Magazine that he is working out six days a week and still eating clean but of course there are foods that he can't resist. I think alot of us can relate to this. There are some foods that are difficult to pass by such as chocolate cake, perhaps. Hart is committed to a healthy lifestyle. He said that, "Being healthy is important to me because you get one life. You can either take advantage of that life and maximize it, or you can increase your chances of shortening up that lifespan." I like what he has to say and what he says is very true. Many of us forget that we can maximise the chance of staying healthier but it does take work and we have to put the effort in. Hart completes a different series of work outs six to seven times a week such as gym sessions, running on the treadmill or outdoors on the street or beach. Kevin believes; that it's about getting up and knowing that he is being active, that he is staying truly committed to a goal that he signed up for, and a promise he made to myself." He understands the importance of just getting your foot out of the door. "Just taking that step in the direction of being active and productive, that's what's best." says Hart. Along with his committed exercise regime he classes himself as a healthy eater, where his diet includes eating brown rice, baked chicken, vegetables and salads. Lucky for him it is not a challenge to stick to a healthy diet because he says structure makes him happy. I have looked at Kevin Hart's nutrition habits and I can conclude that he appreciates the importance of eating meals made with fresh ingredients and limiting his processed food intake. So in this case there seems to be a link with 'healthy eating' and a healthy bank balance. Next in the YouRCooK series on the nutrition habits of the top 100 richest celebrities of 2016, is Howard Stern. So pop back to the blog tomorrow to see if there are any tantalising foods that tickle his taste buds. Check out the YouRCooK meal prep and meal kit comparison tool on our homepage and find healthy meal providers that can supply you with food to suit your nutrition, budget and location requirements.